A Harvard graduate and Massachusetts native, grew up a Patriots fan, but said he always respected the Steelers' ability to run the ball and stop the run. He was assassinated 50 years ago today. 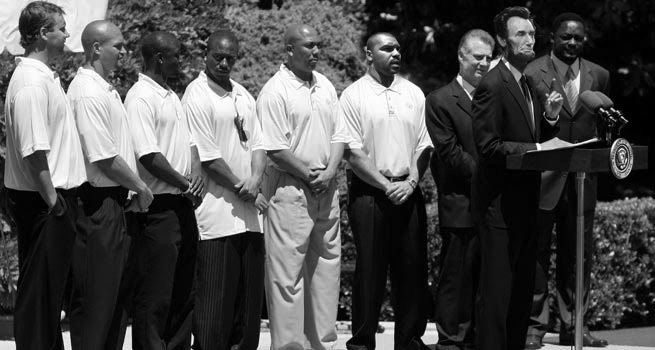 As part of the Pittsburgh Post-Gazette's ongoing coverage the 50th anniversary of the assassination of John F. Kennedy, we asked Steelers defensive end Cameron Heyward, who majored in history at Ohio State University, to recount his top five presidential assassinations. I know this is supposed to be JFK's week, but Abraham Lincoln is by far the best president whose term was cut short by an assassin's bullet. Not only did he save the union and end slavery in America, but he gave some of the best speeches in the history of the United States and also the world. Not a lot of people know this, but John Wilkes Booth and his conspirators originally planned to kidnap President Lincoln. It wasn't until Lincoln gave a speech the week before his assassination about enfranchising African-Americans to help former slaves quicker adjust in American society that Booth decided to kill Lincoln instead of kidnap him. President Lincoln hosted the Steelers at the White House in August of 1864, after the defense came up big in stopping the run at the Battles of Atlanta and Fort Stevens, holding the Confederate army to -18 yards of total offense. He's an oft-forgotten man, but President McKinley's support of protective tariffs, refusal to take any side the gold versus silver currency debate and latent anti-populist streak make him kind of a frustrating case. But he was assassinated in Buffalo and we really executed great against those guys last week. You get it? Executed? Too soon? 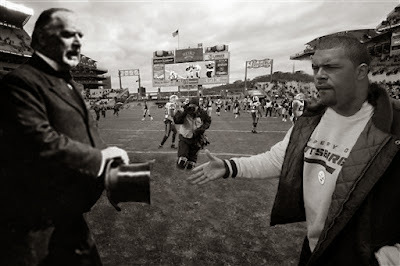 Steelers defensive end Cameron Heyward greets President William McKinley before the Steelers' game against the Miami Dolphins last year. McKinley, who grew up near Youngstown, Ohio, played both defensive end and outside linebacker while attending Allegheny College. Ceausescu was the President of Romania from 1967 to 1989, but...well, he murdered a lot of his own people, and they weren't wild about that. On Christmas Day of 1989, after he'd already been deposed, his country's army captured him and his wife, held a speedy, two-hour trial, then executed them by firing squad right outside. The crazy part is that the whole thing was broadcast on national TV! I'm serious! You can watch it on YouTube! One year, I really wanted the He-Man Power Sword for Christmas and I didn't get it. My parents thought it was too violent and I wound up getting new football pads instead. I thought that was the worst Christmas ever until I found out about this guy. Worst Christmas ever is no longer up for debate. 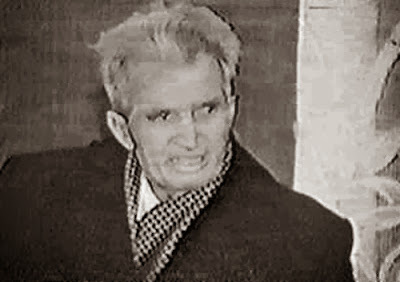 Before entering politics, former Romanian President Nicolae Ceausescu earned a PhD from Pittsburgh's Carnegie Tech (now Carnegie Mellon University) in physics. The assassination of John Kennedy remains one of the most discussed and controversial events in American history, but what really sets it apart from the other assassinations is that nobody is entirely sure why it happened. The logistical questions surrounding the number of gunmen and their identities remain in question, but in a larger sense, the relevance of those questions pales in comparison to the ongoing quest to find out why they were there and who organized the entire plot. The research I've done places Lyndon Johnson at the head of the conspiracy, but we could go round and round all day with this, just as we have the last 50 years. 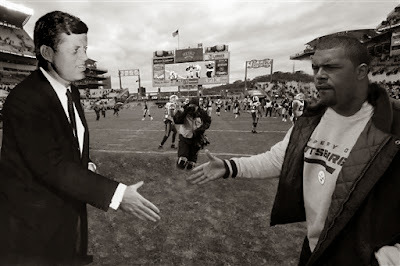 Steelers defensive end Cameron Heyward greets President John F. Kennedy before the Steelers' game against the Miami Dolphins last year. After Lincoln's speech about wanting to give freed slaves the right to vote got him killed, our next assassinated president was done in on a railroad platform by a disgruntled office seeker. Seriously, go read up on Charles Guiteau -- that guy was nuts. 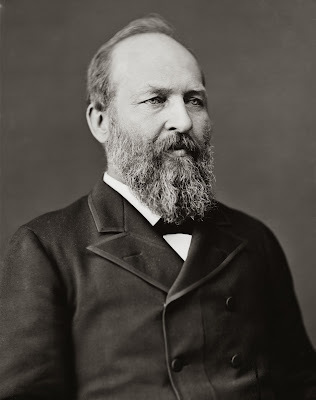 After he shot the Garfield, Guiteau yelled, "I am a Stalwart of the Stalwarts! I did it and I want to be arrested! Arthur is President now!" Some historians contend that the gunshot Garfield sustained was non-threatening to the point where he'd have survived under more modern medical care. Can you imagine being the president and waiting for a train? Can you imagine being anyone and waiting for a train? That whole idea is just crazy to me. President James A. Garfield, who served as a general in the Union Army during the Civil War, grew up a Cleveland Browns fan in Moreland Hills, Ohio. So really, you could argue he had it coming.